Together, We Cannes Do It! I’ve been watching Troma films for almost 20 of my 31 years of life. There’s not a single thing in my life that I can think of with that sort of “fan boy” longevity. And yeah, I’m fully aware that Troma releases some of the campiest, strangest, most off-the-wall independent horror fare out there. So, why have such a life-long fascination for the crazed musings of Uncle Lloyd and co.? News: The Cover of Joe Hill’s New Novel and The Bighead… as a movie?!?!?! Big news today as Joe Hill recently unveiled the tentative cover to his next novel which is descriped as an “epic vampire road novel”. Yes, please! Interestingly enough, Hill’s father will have an “epic vampire Winnebago novel” coming out next year as well. A Kickstarter fund has been established in an attempt to bring Ed Lee’s disturbing novel to us in short film form. If you’ve always dreamt of seeing such depravity on the screen, this is your chance! Stephen King has always been a favorite of mine. He was my gateway into horror literature and, for that, I am forever in his debt. Over the last few years my interest in King has waned a bit and I no longer feel the need to pick his books up upon the initial day of release. I guess I’ve discovered so much in the small press that I don’t have time for the man who brought me to the Promised Land. Well, all of that changed when I heard that King was currently in the process of writing a sequel to one of my all-time favorites, THE SHINING. The book is called DR. SLEEP and it follows Danny Torrance as an adult as he is pursued by a traveling group of psychic vampires. I know it sounds a little hokey but after hearing King read an excerpt from the story, I am convinced (even it does sound a bit like Near Dark). What do y’all think? Dreadful Tales will be following this all the way until the release so keep checking in for more updates regarding this story. Stephen King from GMU-TV on Vimeo. 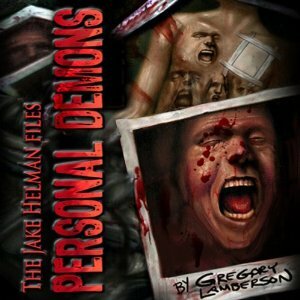 Greg Lamberson, the creator of the Jake Helman Files series, and Publisher Medallion Press are inviting you to download the first book – Personal Demons – FOR FREE! See the Media release after the cut! This is one of my favorite books/series, and I am beyond excited to bring this news your way. The Helman books combine one of the most perfect mixtures of horror, supernatural, and crime fiction set to print. You’ll be missing a lot of you don’t check this out. Check out our reviews of Personal Demons here, and the follow up book Desperate Souls here. 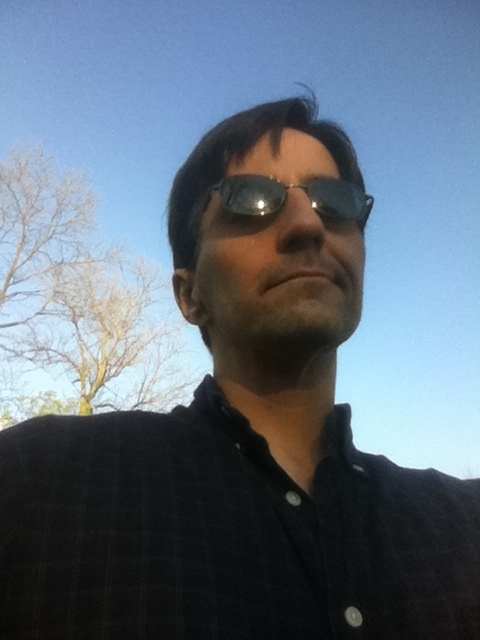 Greg has several other books in print including Johnny Gruesome (review), and The Frenzy Way (review). book 3 in The Helman Series, Cosmic Forces, this October, and the follow up to The Frenzy Way – The Frenzy War – in June 2012. Meet KinderScares – the tiniest of terrors await you! Even the most die-hard badasses grow up and have kids someday. The founders of Dreadful Tales actually sport a combined five mini monster-lovers between them. It stands to reason that a few of you horror-lit fans have spawned as well…and that’s why DT has offered myself and KinderScares a home here amongst the grown-up terrors of the written word. The original KinderScares site was created by Colum and myself in late 2009 using a very simple formula: books+monsters+kids = awesome. It was dreamed up for all the children who love things dark and spooky, and especially for all those horror-loving parents who just really can’t read one more story about bunnies or a great green room without stabbing themselves in the eye. If you’d rather read to your little ones about monsters, beasts and things that go bump in the night, I’m here to help! I’m thrilled to be a part of Dreadful Tales, and after scouring bookstores and libraries for everything scary and monster-related for the almost seven years I’ve been a parent, there’s no one more qualified to help you traumatize your children. 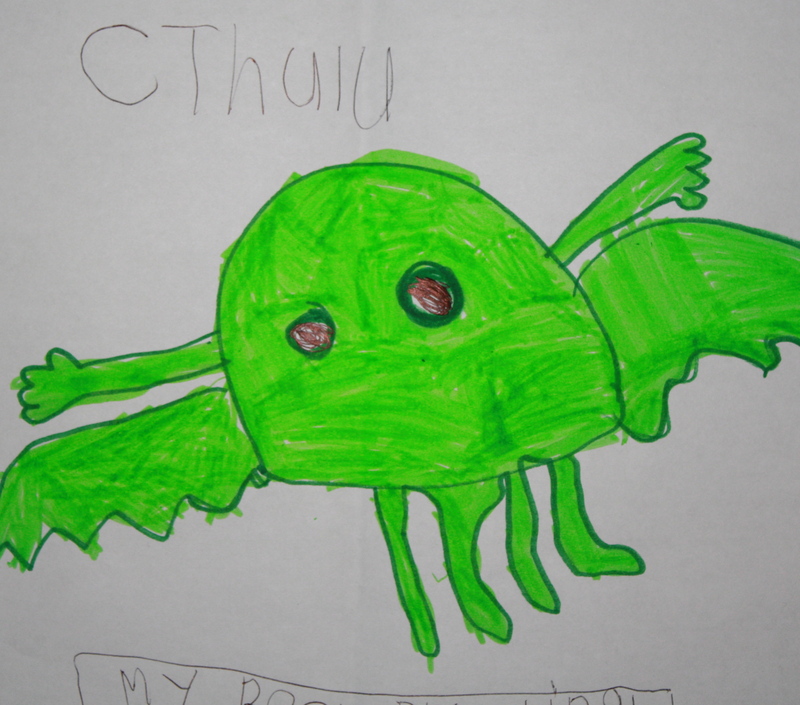 I hope our book suggestions for the littlest of monster-lovers will be a valuable resource to parents looking to share a love of horror with their kids, or anyone who’s interested in seeing what’s out there for tiny fiends. Anyone who follows me as @paperbackhorror on Twitter knows that I dig a great joke. I’m someone who loves to throw around the laughs, and I absolutely thrive on folks who have a great sense of humor. Enter one of my favorite people in the world – Matt “MonsterMatt” Patterson. Having written over one thousand “bad” monster jokes, it’s safe to say that Matt has a great sense of humor. He’s also one of the nicest people I’ve ever met. In the near future, you’re going to see a lot of him. MonsterMatt’s Bad Monster Jokes Vol. 1 will be unleashed on the world soon, but to sate your taste, I’d like to direct you to his terrifying little world. You can check him out on Twitter, Facebook, and at his very own website. Matt is also the creative mind behind a plethora of terrifying masks, scuptures and images. In addition to his jokebook, he’s also a fantastic artist, and is releasing a comic book with Zombie Ink Comics called Wolff’s Run in 2011, including art by the supremely talented tattoo artist: Bob Bieber. All of this news is readily available at Matt’s website. If you’re jonesin’ to get a glimpse into the mind of this wonderful man, you can check out two recent articles he wrote for Gravedigger’s Local, and KillerAphrodite.com. Get ready for the MonsterMattMarathon. It’s a-comin’, folks. Cemetery Dance Publications announced today that they have entered into a deal with Fangoria Entertainment to publish a “new series of lavish specialty hardcover books” – the first of which will be “FANGORIA: A CELEBRATION OF FEAR“. Click here to read more about this wonderful unholy union. Dreadful Tales would like to congratulate these two powerhouses in the horror genre, and wish them the best of luck. As fans, we couldn’t be more excited.